BAGHDAD - A military spokesman and a lawmaker say Iraqi security forces and Shiite militiamen have broken a two-month siege imposed by the Islamic State of Iraq and Syria extremist group on the northern Shiite Turkmen town of Amirli. "These military operations were conducted under authorization from the commander in chief to facilitate the delivery of humanitarian assistance and to prevent an (ISIS) attack on the civilians of Amirli," Rear Adm. John Kirby said. About 15,000 Shiite Turkmens were stranded in the farming community some 105 miles north of Baghdad. 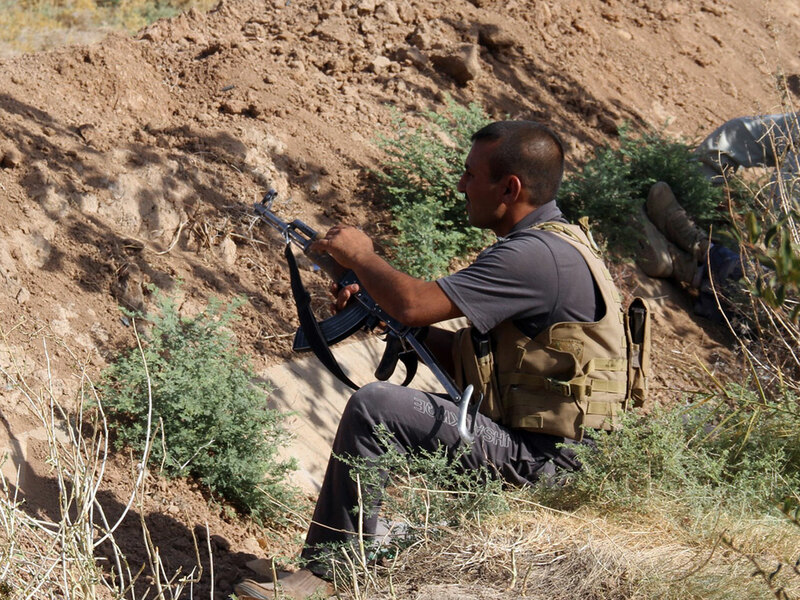 Instead of fleeing in the face of the ISIS across northern Iraq, the Shiite Turkmens stayed and fortified their town with trenches and armed positions. While Amirli fought off the initial attack in June, it has been surrounded by the militants since mid-July. Some residents have said that the Iraqi military's efforts to fly in food, water and other aid have not been enough amid oppressive heat, lack of electrical power - the town's power station was destroyed weeks ago - and shelling from the militants. U.S. airstrikes in Iraq, which began earlier this month, have targeted ISIS militants attacking Yazidi Iraqis on Mount Sinjar and the militant forces operating in the vicinity of Ibril and Mosul Dam. The beleaguered Yazidis received several humanitarian drops of tons of food and water as well as military support aimed at protecting them.